Occupy Sonoma County has decided to permanently cancel the planned event and not attempt to reorganize a new one. The offer we received to regroup and plan a new event with greater community involvement does not appear to be an option given their recent statements. Positive Images was invited to co-sponsor the event as an organization that represents the local transgender community. We put on a teach-in with Positive Images (see our Youtube page) and have a previous relationship with them. We were contacted by a long-time leader within PI who collaborated with us and designed the flyer with the PI name and logo. Positive Images did not stand behind this person when the event was challenged, and publicly denied any involvement, despite the approval given to the person we collaborated with. We had no way of knowing that there was miscommunication within Positive Images before publicizing our event. Our intention in including Positive Images was to build trust with the transgender community. We have been receiving RSVPs from people planning to attend, both locally and from the greater Bay Area. There was particular disappointment expressed by the transgender people who wanted to participate. Some of the older trans people were part of the radical feminist and lesbian separatist movement in the long ago past and understand the ideology of the current radical feminists. They wanted to participate in bridging a gap and heal a rift between two communities that they have been a part of. There were contingents of transgender people planning to come from as far away as Sacramento and Richmond. Trans-inclusive lesbians in San Francisco organized carpools. Prominent leaders in the greater Bay area were making plans to come. We invited people from the Restorative Justice and NVC communities, and social justice activists expressed widespread support, within the LGBTQ+ community and beyond. Outreach was extended to radfems who wish to participate in an end to the violence and attacks that have been directed at them, including a carpool from Oakland with women seeking peace with the transgender community. All of the organizations involved, event planners, and facilitators are trans allies. And, as allies to the trans community, there is concern about violence and attacks being directed at radical feminists who are mostly lesbians - many of them seniors. There was a strong desire by everyone involved to help resolve a vicious conflict that is causing harm on both sides. There is no individual who can claim to represent the trans community. And yet, the event was shut down in a campaign led by one person. Their campaign against the event stirred up a drama that caused further polarization both inside and outside the LGBTQ+ community. Rather than attacking the event and creating a massive controversy causing harm to relationships within and between important organizations, would it not have been preferable to respectfully challenge the event and ask questions about it first? We do not expect anyone to trust us without knowing who we are, but we do expect the respect of being asked important questions rather than being trashed with demands, threats, accusations, assumptions, incorrect facts, and character defamation. Reacting in such a negative manner perpetuates further alienation and isolation while adding further fuel to a growing movement organizing against them. This is the kind of divisiveness that the system relies on. There is no need for infiltration when we act destructively against each other. Divide and conquer is how the system keeps us from achieving our goals of justice and liberation. We don’t have to agree with each other in order to listen for a positive intention and discuss respectfully. Social change history teaches us that building alliances, especially with allies, is a useful tactic for achieving difficult goals. Conflict resolution is not for everyone. There are brave people who are willing to work together for the greater good of peaceful coexistence. We anticipated a large number of people (50-60) attending the event, and the RSVPs confirm that now. 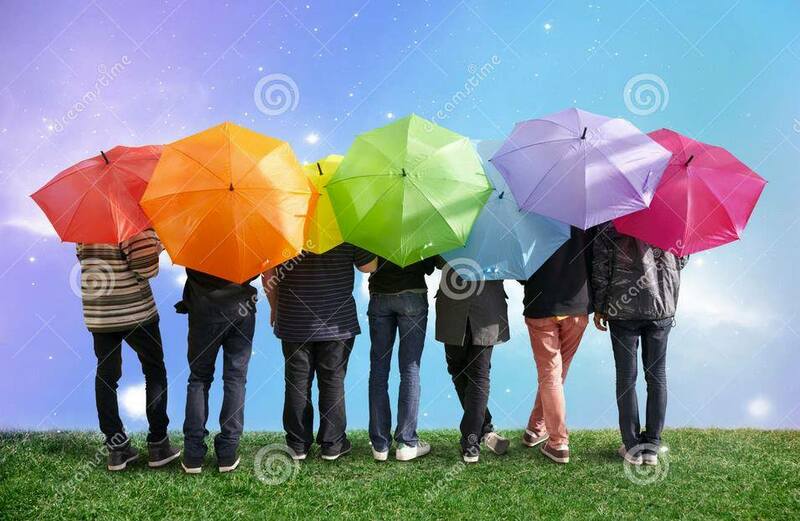 Hopefully other groups who care about this conflict will sponsor conflict resolution, such as Positive Images, which is a local respected organization serving the whole rainbow including the lesbians who are radical feminists. We apologize to anyone who felt threatened or harmed in any way by our invitation to a conflict resolution. Hopefully organizations that are more known and trusted will recognize the harm that is being caused by the conflict between trans rights activists and radical feminists. This harm is impacting people within our group and those we love. It is imperative for loving people to address the hatred, bullying, and violence that is being perpetrated. Who is wise, strong, and together enough to learn from this recent experience and create healing more successfully than we did? Perhaps there is a need for healing and resolution within each side of the conflict to create greater willingness to disagree without hatred and attacks. Occupy Sonoma County attempted to provide a high quality opportunity towards resolving the conflict between trans rights activists and radical feminists. One of the shortcomings of our promotion was insufficiently explaining Process Work. We could have been more descriptive rather than quoting from their website. Process Work offers an excellent tool for conflict resolution among oppressed groups. There are now many more people in the Sonoma County activist community who are aware of the conflict we attempted to help, and we created a forum on Facebook where individuals are discussing possible compromises. We believe that good will come from our attempt and hope to now repair miscommunications and misunderstandings that flared in the midst of the recent chaos. This is a personal issue that touches some of us deeply. For all of us in OSC, our intention has been to be of service to end oppression and work towards peace. Greetings from Occupy Sonoma County. We have decided to postpone the event to elicit a greater amount of community involvement. The planning of this event was started in August. Input was requested from several organizations and community activists. In response to this request we were contacted by someone within the leadership of Positive Images. That Positive Images person became a full collaborator of the event, and put Positive Images name and logo on the flyer that they designed. There was an internal miscommunication within Positive Images that we were not aware of. When the finished flyer was sent to OSC we printed it and distributed it within the Sonoma County activist community. The intention of the event is to offer healing and resolution. We would like to continue to pursue a healing event that has more input from the people impacted by this issue. We are still deciding what to do with the January 14 date as people who do not receive this cancellation may still show up, possibly from considerable distances away. We will attempt to reach people to let them know that the event is canceled, but perhaps a planning meeting can replace this date. Stay tuned for details. There has been a flurry of negativity expressed on the Facebook event page. Pejorative remarks are being deleted and posters who continually post insulting or threatening remarks are being blocked from the conversation. There is a conversation happening that may have some value so for now the discussion will be allowed to continue. We ask everyone to be respectful while continuing to have a community conversation on a challenging topic. While the validity of this event has been challenged, many people have asked us not to cancel it. There is a lot of support for an event that addresses the conflict between the transgender community and radical feminists. When this event was planned we did not expect that it would be suitable for every trans person or radical feminist. There has been considerable wounding on both sides. Transgender people and radical feminists have both expressed feeling too unsafe, angry, or hurt to sit in a circle with someone they feel is oppressing them. However, there are people on both sides of this conflict who are willing to engage in this kind of discussion. In every type of major conflict there are people who are too upset to engage in a resolution and fortunately there are people who recognize the need to find common ground and resolution. Please continue this conversation respectfully and look for solutions and possible compromises if you can.